The event, held on March 15, 2013, marks the centenary of the publishing of Luigi Russolo's manifesto "L'arte dei rumori". 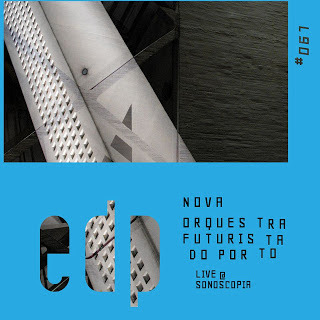 Recorded live @ Sonoscopia before a live audience. N.O.F.P. is: Henrique Fernandes - intonarumori, wooden laptop, devices; Alberto Lopes - infinito, wooden laptop, intonarumori; João Martins - wooden laptop, devices; João Mascarenhas - intonarumori, percussion; João Ricardo - laptop, samples. Available in WAVE, FLAC, OGG and MP3.